Here's some news that Batman Fans are gonna be really excited about! Moleskine and DC Comics have teamed-up to release the BATMAN Limited-Edition Sketchbook Collection. There are five (5) different versions. Basically, it breaks down like this. 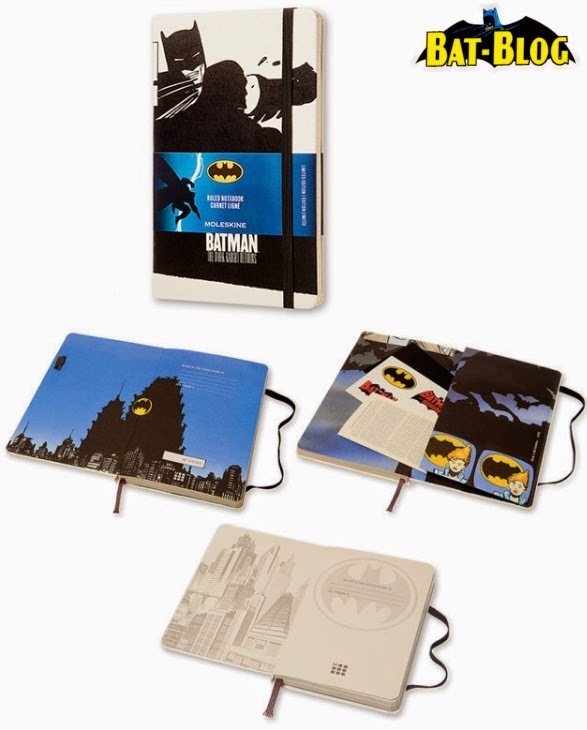 There are 4 Moleskine editions with different "Batman" covers ($18.95 each) and then there is 1 special edition that has a Frank Miller "Dark Knight Returns" Design and it retails for $24.00. I guess we should mention that the 4 regular sketchbooks will be sold in retail stores ( like Barnes and Noble) and the "Frank Miller" version is only available online from MOLESKINE. Oh yeah, check out the promo video!